Sometimes when I tell people that I'm going to run a half marathon, they'll respond with something like "I could never do that." Or, "I only run when being chased." I used to be like that, too. If I ran, the most I ever did was 6 miles, and it was purely motivated by vanity. After I left grad school, I took a job at MDA, which is where I was working the day that things started to change. My Mom called me and told me that my Dad couldn't get out of bed earlier in the morning. I knew he had a movement disorder and that he'd been seeing a neurologist, but he didn't have a specific diagnosis yet. 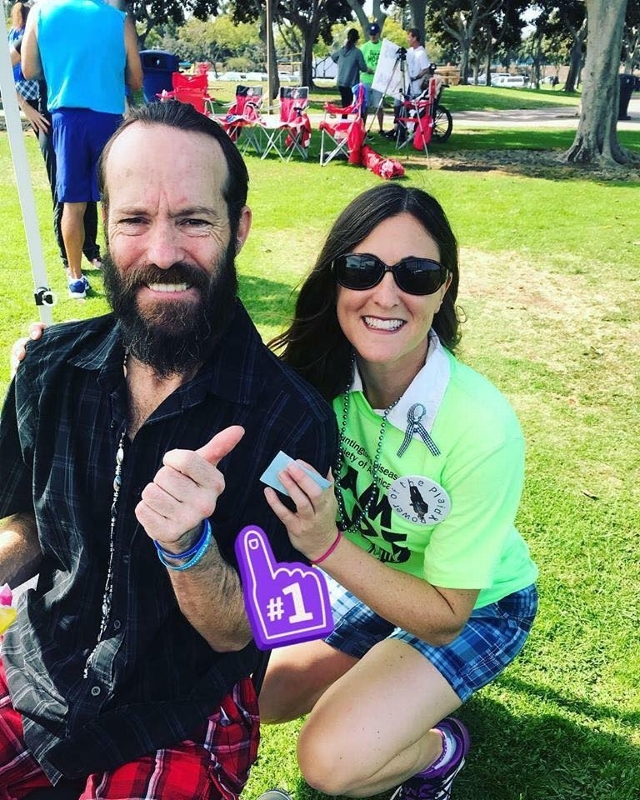 I was so frustrated with the lack of diagnosis, that I picked up the phone, called the San Diego MDA office, and asked for the name of their best neurologist. Three doctors later, and my Dad was finally diagnosed with Huntington's disease. This was in 2003 and, at the time, I had no idea what it was. When my Mom broke the news to me, I was absolutely devastated. I learned that the disease is progressive, that it's like ALS+Alzheimer's+Parkinson's combined, that it is genetic and I had a 50% chance of inheriting the disease, as did both my brothers, and that there is no cure or treatment. From that moment on, until my Dad passed away 5 years later, I was in a spiral of depression. Eventually, I made the decision to move home and help care for my Dad. I watched him waste away and I eventually watched him lose his life to this horrible disease. Shortly after my Dad passed, my brother, Tim, started having symptoms. He, too, is living with this terrible disease. In the past year, he's really struggled with walking, he can't navigate crowds because his brain processes the information too slowly (and he gets scared), he can barely play his guitar, he has very noticeable uncontrolled movements, and he is embarrassed to be seen in public. People think he's drunk or on drugs or who knows what? But Tim does ok when he's with people who know and understand his disease. This is us at this year's TeamHope walk for HDSA. Two years after my Dad passed away, I started looking for a place to buy. I had also taken up running again after several years of not doing it. I was running 3 miles at the time, and that was good enough for me. I ended up connecting with a realtor, Everett, who was also a runner. He encouraged me to sign up for a 1/2 Marathon. But I kept saying "no" because it was just too long. At the same time, I received a flier in the mail and an email from HDSA encouraging me to join Team2CureHD at the Rock N Roll Marathon. Over the next few months, I received numerous signs that I should do it. 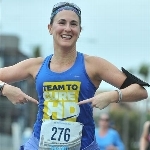 I eventually signed up and started running for HDSA. 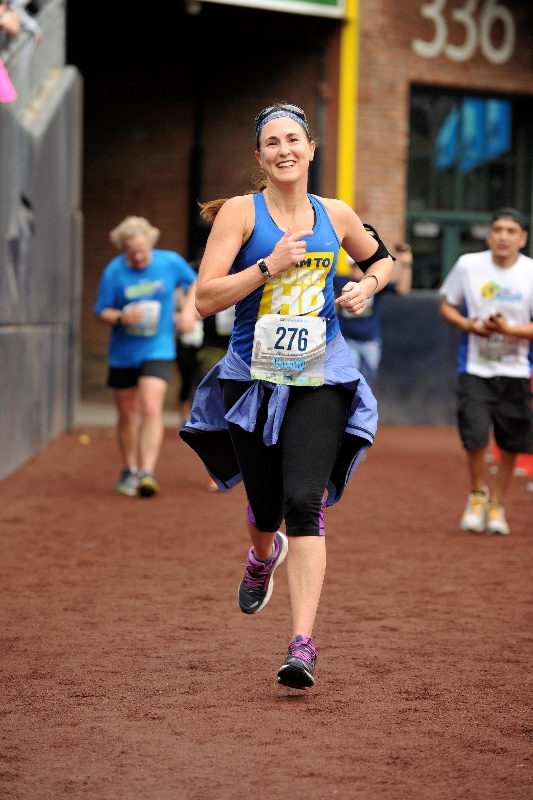 So, when people say that the could never run a half marathon, I always think to myself "I bet you could." For me, it's not about running - I don't love running - it's about doing SOMETHING to make a difference in Tim's life, and in the lives of everyone from an HD family. I want to provide money for support service and research and education. I want to have an impact in this world and do my part in making sure that future generations don't have to go through what my family is going through. So, I run, and ask for money, and do what I can. If you can, please help me by donating.